Since its inception in 2006, the department has been building technocrats and vitalizing the blossoming buds that are the future foundation of our nation through enabled technical learning. The Technology is rapidly changing and Information Technology training becomes inevitable to people in all walks of life. 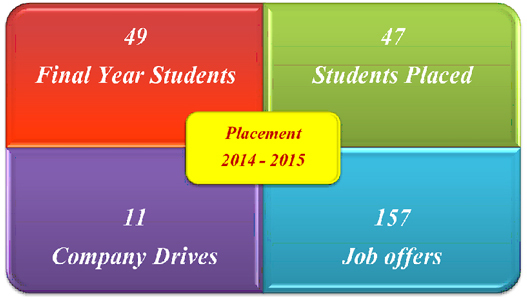 The Department of Information Technology is very keen in promoting IT/ITeS education to the students. 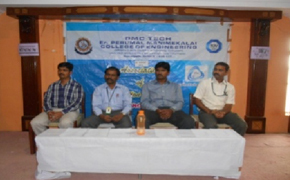 At present the department offers B.Tech. (IT) programme, and later PG and research programmes will be introduced. 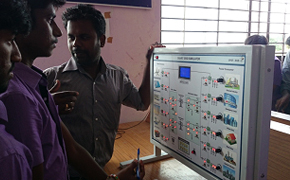 The Department has a specialized team of ICT enabled infrastructure and well qualified staff. Diligence of our hard work is unparalled by any other. To distinguish the Department in all aspects, prove our self nationwide and make the students to involve in research activities which enlighten us worldwide. To improve technical competence, build intellect; strengthen skills of the students and to drive the department with values. 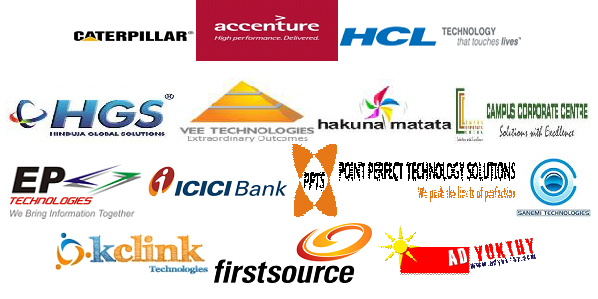 To strive towards excellence in results and placement .being focused and committed to attain quality in all ventures. 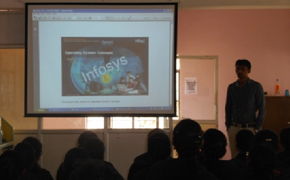 Wipro Technologies â€“ Mission10X Technology Learning Centre. 1. Our Department Second Year Students Won Third Prize at National Level Symposium held at Narasus ‘s Sarathy Institute of Technology on 18th March 2014 and they have been honored by our respected principal. 2. 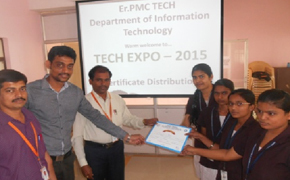 Our Department Students Won Prize at TECH EXPO â€“ 2015 (Innovative Projects) held at PMC TECH on12th and 13th February 2015. 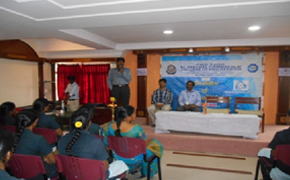 The Second year Students of our Department participated in the District Level Cultural Festival held at Krishnagiri on 15.03.2014 and in the motivational perspective they were honored by our respected principal. Campus Connect aims at evolving a model through which Infosys and Engineering Institutions can partner for competitiveness, enhance the pool of highly capable talent for growth requirements in Information Technology (IT) space. Our Department Second Year Students Won Third Prize at National Level Symposium held at Narasus â€˜s Sarathy Institute of Technology on 18th March 2014 and they have been honored by our respected principal. 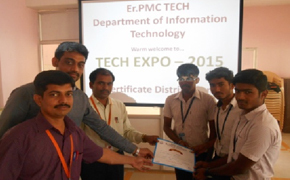 Our Department Students Won Prize at TECH EXPO â€“ 2015 (Innovative Projects) held at PMC TECH on12th and 13th February 2015.